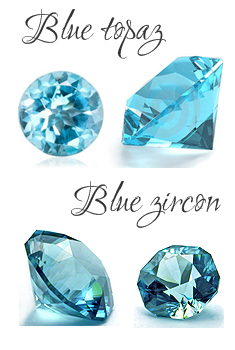 Children love items with their name or birthstone that is unique to them. 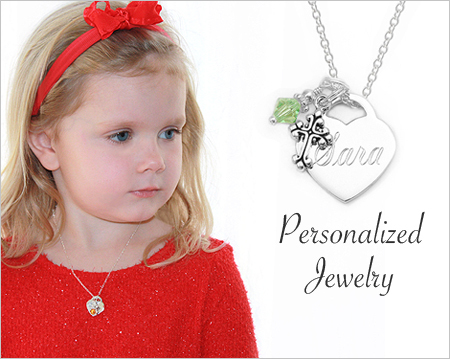 Our personalized jewelry for children is the perfect gift to make them feel special. 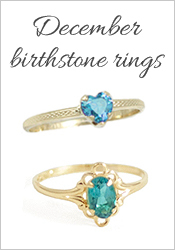 We offer engraved necklaces that come with a free birthstone charm, and other charms can be added for a special touch. 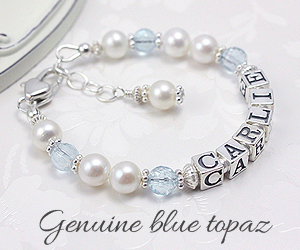 We offer a wide variety of personalized jewelry for children in fine quality designs made especially for them. 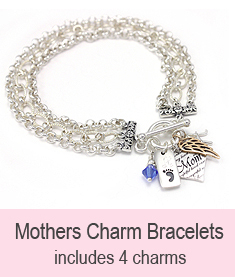 Charming engraved necklaces for girls and boys, signet rings, special engraved bracelets, and kids ID bracelets. 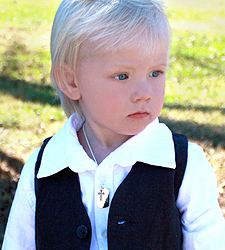 Many of our items are from our Heirloom Baby Collection™ and have been customer favorites for years! 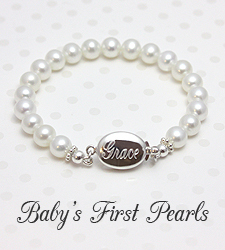 We also have children's personalized jewelry for Christenings and Baptisms. 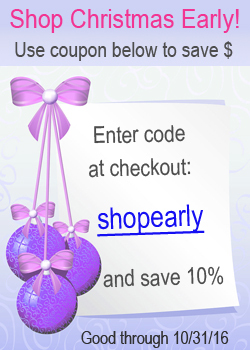 Come visit and see all the delightful styles made especially for babies and children. 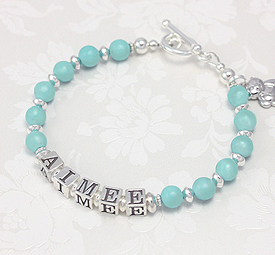 Find the perfect gift for your little one and make it special with our custom engraving. 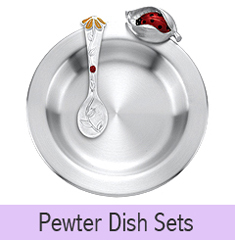 A beautiful centerpiece for your Christmas table that is free! Or as free as you choose to make it. The centerpiece is made from a log and some free Christmas tree trimmings from Lowes. A limb from one of our trees blew down in a storm earlier this year and I cut this piece from it. 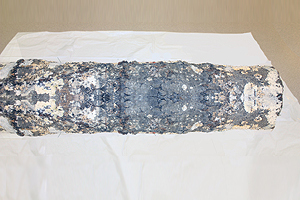 It's not terribly attractive by itself but it has some nice mottled-looking bark. If you can find a piece of beautiful white birch, you won't need much trim. Make sure your log is free of critters before bringing it inside. I chose the flattest side of the log to be the bottom and drilled three holes in the top for candles. The home store let me bag up greenery they had trimmed off of Christmas trees; I chose several different types of greenery. 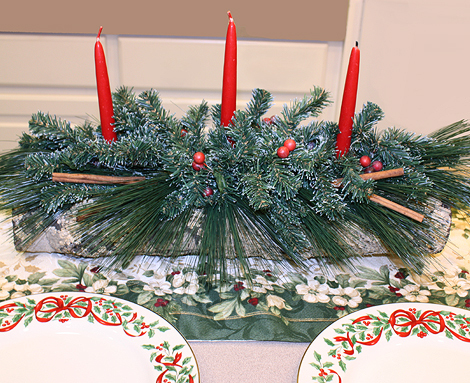 Then I simply hot glued the greenery to the top of the log leaving access to the candle holes. Once the greenery was in place I glued on cinnamon sticks and a few (fake) red berries for color and scent. It was an easy project that cost me almost nothing, but looks gorgeous on the table.